Dogs. 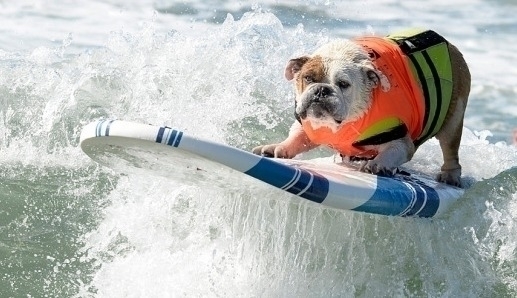 Surfing. Loads of them.